they might ask, one day? Dr. K L Chowdhury retired as a Professor of Medicine, Medical College, Srinagar. Presently he is the Director of a charitable institution, Shriya Bhatt Mission Hospital and Research Center, Durga Nagar, Jammu. He is a physician and neurologist, a medical researcher, poet, social activist. He writes on diverse subjects – medical, literary, social and political and has numerous research papers to his credit, his pioneering work being “The Health Trauma in a Displaced Population” which was presented at national and international conferences. He was declared Shehjar's 'Kashmiri Person of the year' for 2007. Went through the work in a single go. 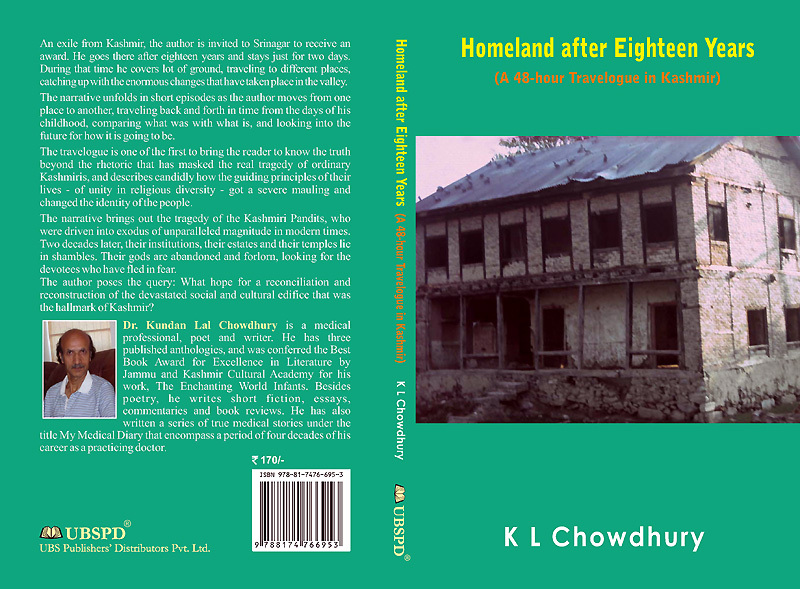 It was deeply nostalgic to share the personal experiences of a reputed physician turned a great author baring his soul and presenting the truest picture of the present Kashmir situation post displacement of KPs in a very beautiful diction and style! Mubarak Mahra! !